Ready to have a muscle toned body? 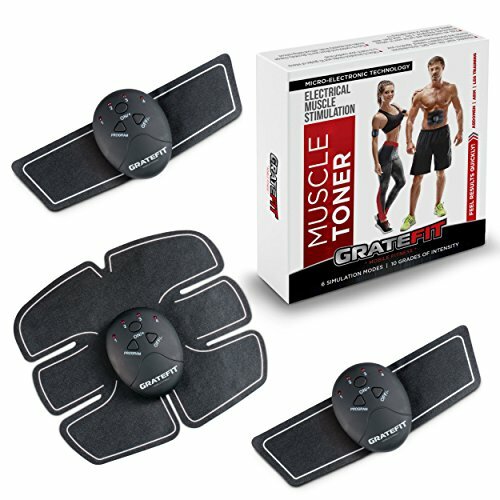 The Gratefit Muscle Toner for women and men uses Electrical Magnetic Stimulation(EMS) pulses that massage your muscles. The stimulation contracts your muscles making them toned and strong for a 6 pack abs build which can lead to weight loss. -Our Difference: 10 extra replacement gels in addition to the gel that already comes on the gel pad. Please refer to instruction manual prior to using the product for the first time as this will ensure safe usage of the muscle toner. Click the ADD TO CART button and begin Toning your Muscles with gratitude today! If you have any questions about this product by Gratefit, contact us by completing and submitting the form below. If you are looking for a specif part number, please include it with your message.